Mongoose OS collaborates with Texas Instruments and Google Cloud enabling developers accelerate cloud-powered IoT devices. Dublin, January 16th, 2018 — Mongoose OS, an open source Operating System for the Internet of Things, today announced the Mongoose OS IoT starter kit, supporting the Texas Instruments (TI) SimpleLink™ Wi-Fi® CC3220 wireless microcontroller (MCU) for connectivity to the Google Cloud Platform, using Google IoT Core. The Mongoose OS IoT TI CC3220 Starter Kit is recommended by Google Cloud IoT Core and Texas Instruments, and provides software that enables you to move quickly from the idea to prototype. It was created to help accelerate cloud-powered prototype development of connected devices and connect securely to Google Cloud IoT Core. To get stared developing, you can purchase the SimpleLink CC3220 wireless MCU LaunchPad™ development kit from TI and follow instructions on the Mongoose OS IoT starter kit page. The TI SimpleLink CC3220SF wireless MCU LaunchPad kit is a low-cost IoT development board featuring buttons, LEDs, an onboard accelerometer and temperature sensor and debugger to accelerate development. 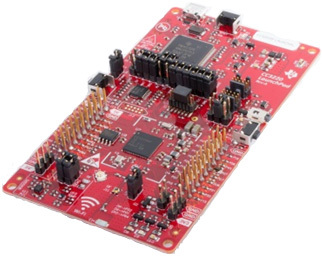 Read this new post on TI’s ConnecTIng Wirelessly blog to learn more about the TI CC3220 LaunchPad development kit and Mongoose OS support.